After you have seen Casa Comalat, visit this bar. Many guests come here to enjoy mouthwatering tapas, sturgeon and jamon. Good tiramisu and tasty parfait will impress you at the first bite. A lot of visitors order delicious strawberry gin, tonic or bourbon. Take your chance to taste great espresso, tea or juice. 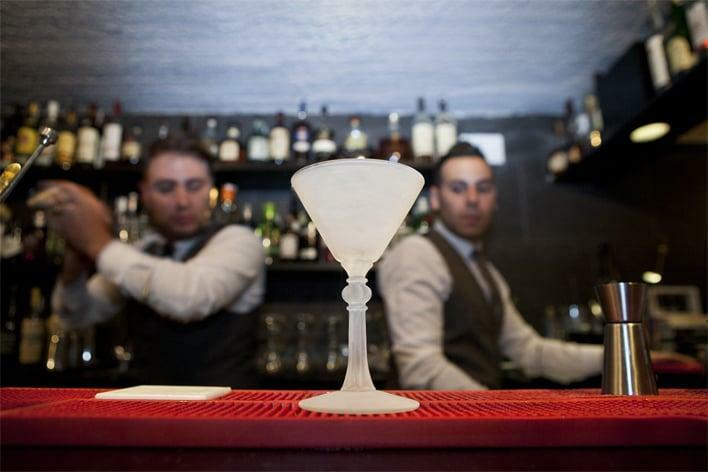 Old Fashioned is famous for its great service and friendly staff, that is always ready to help you. This place offers you democratic prices for appetizing meals. The divine decor and pleasant atmosphere let visitors feel relaxed here. Clients have rated this spot 5 on the TripAdvisor site. Amazing drinks, cozy little bar in barcelona. The presentation and performance are just next level here. You won't regret stopping by if you're here on vacation. 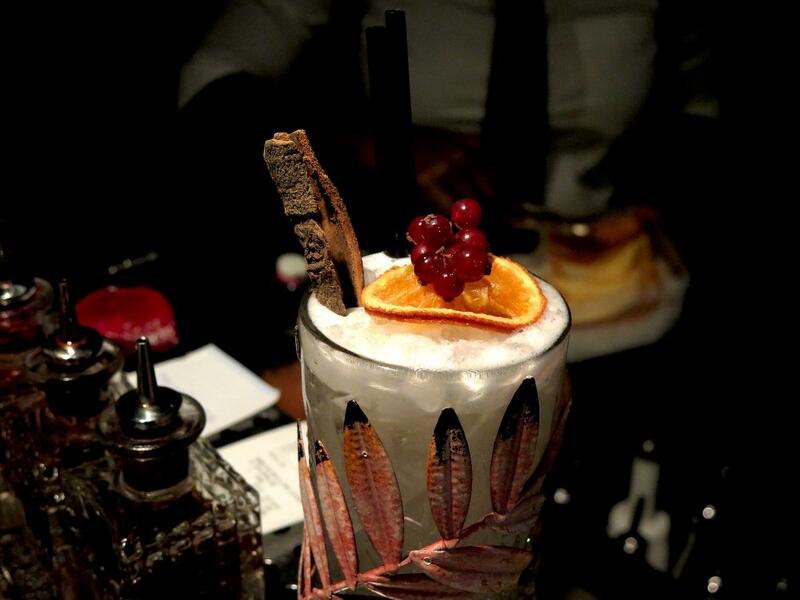 If you want a different cocktail than usual, definitely try this place. 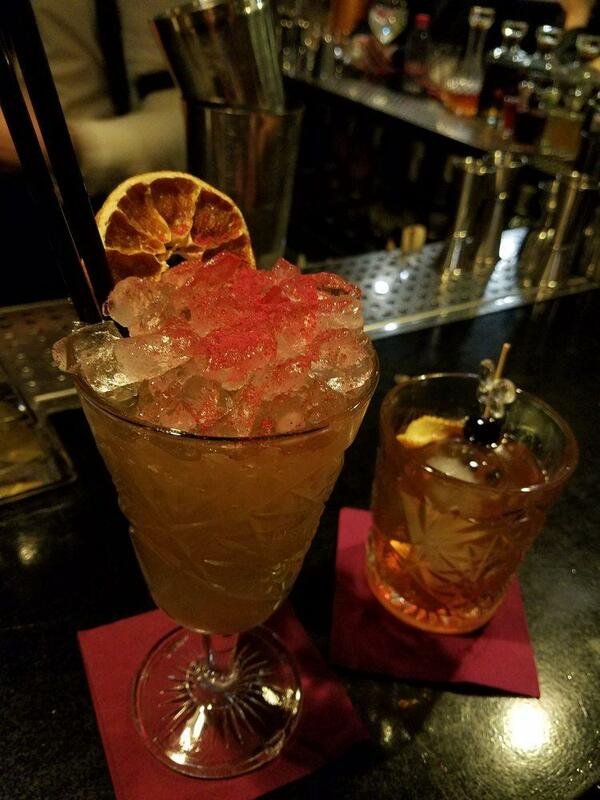 HUGE selection of cocktails and whiskeys + italian personnel! One of my favorite bars in Barcelona. The ambiance, drinks + bartender are 10/10. It's a fairly small bar that fits about 25 people max. The bartenders are all dressed up and look absolutely dapper. We were greeted warmly but told they didn't have a table. We decided to improvise and sit around the bar while we waited for a table. Within 5 minutes we were able to get a seat, and a server decided to take our orders. Drinks here are a bit pricier than most places, but once you see them and taste them you'll know why they're more expensive! We ordered two rounds of drinks which included: anything goes- a whiskey drink in a glass shaped like a cigar Old fashion - self explanatory Don't call me doll- a Fruity shisha infused vodka? Drink- 10/10 presentation and taste!!! 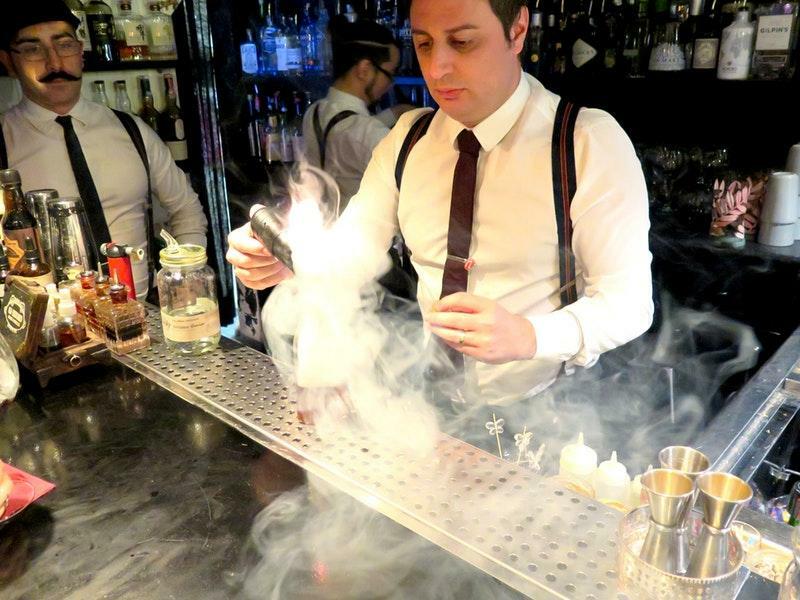 Bill McCoy- another smokey drink with rum and a dried pineapple (so delicious and so pretty) Scotch egg- a spicy ? Drink I think! I can't find the other drinks we ordered but honestly have one that sounds yummy to you and then tell the server what you like drink wise + presentation wise and he'll deliver!